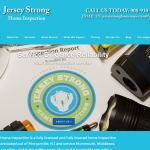 NJ Construction Services Company was looking to update its overall digital marketing presence, including the presentation of its many prestigious projects, with a new mobile responsive WordPress website. We developed a strategy to work around an existing logo design and then carefully project managed their customized design through a series of mock-ups and then final development on to WordPress. We worked through color palette, background colors, image compression, sizing & presentation, individual & summary projects pages, graphics, fonts, all navigational elements PLUS pages formatting and on- pages SEO. Chris and his team help take our old static website and created a great website that is attractive and mobile friendly. It took a few months to do because we were very particular in how our website looked. Chris (and his team) was very patient with us and went the extra mile to get us the website we wanted.